Hello Games’ massive patch for No Man’s Sky, which brings the game up to version 1.03, is now available to download. At 824 MB, the patch can be installed with the game whenever you decide to pick it up. This patch makes a ton of different changes to the experience, adding The Three Paths (one of them written by James Swallow of Deus Ex fame), improving the overall combat and aiming mechanics, buffing the Sentinel AI, fixing the infinite warp exploit (which was used to reach the centre of the universe fairly quickly by those who gained early access to the game), modifying how inventories and resources work (including pets) and much more. Some fans/maniacs who were eagerly anticipating No Man’s Sky called this the perfect wish list. We’re guessing that’s a good thing but then these people are fickle. The point is – play the game for yourself and decide what’s good. 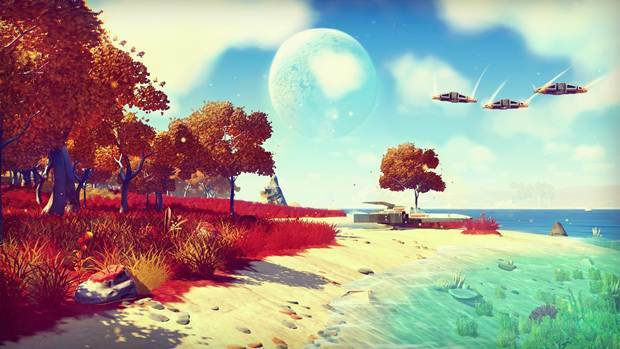 No Man’s Sky is out on August 9th for PS4 and August 12th on PC. What are your thoughts on the patch? Let us know in the comments.